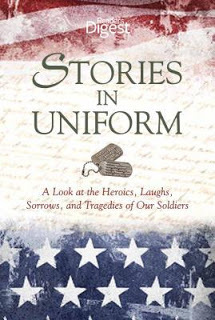 STORIES IN UNIFORM is a chronological retrospective of the best military pieces Reader’s Digest has run; pieces that will make you weep, make your heart sing, inspire you, enrage you, and make you laugh. Beginning in World War I and continuing though to the war in Iraq, readers will follow soldiers into the trenches, peer in on emergency surgery taking place in the depths of the ocean, watch heroes carry the bodies of fallen brethren, trail Eisenhower for the three days leading up to D-Day, and be inspired as men and women rise above and beyond normal human limits to preserve our rights and save their friends. I was offered the opportunity to read and review this book. As the daughter of a Korean War vet, I was honored to be able to read and share these stories with you. As I turned the pages, I tried to imagine my dad in situations like these. I wondered what he was thinking as he fought for his life and for the lives of many others. Did he worry about his family back home and how did he cope as he dreamed of seeing them again? 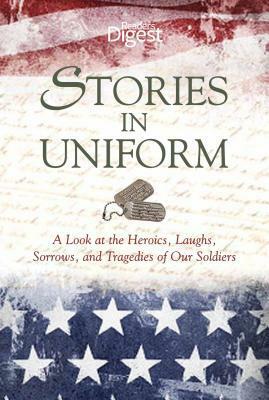 Beginning with WWI, I started reading the stories of amazing heroism, friendship, devotion, and camaraderie. Many times my eyes filled with tears. After reading many novels of historical fiction set among the different wars, I had to remind myself these were true stories of real men and women and their bravery. One of my favorite stories was “No Medals for Joe” from WWII. Joe worked tirelessly to save his fellow men. He was a Navy shipyard worker and was shocked when he saw overhead, Japanese planes setting loose a pandemonium that will forever remain in the history of our nation. After the firestorm, destruction was all around him. He was ordered to the ship, Oklahoma, to save trapped men. After hours of drilling, cutting, chiseling, and eventually crawling through, he was able to save 32 men by carrying each one out on his back. After receiving a Navy citation, it was then stolen along with his suitcase. Many unsuccessful attempts later he never received his medal but didn’t finally get a copy of his citation. But, more importantly, he was able to meet three of the men he saved just months before he died in a Navy reunion. That was all the medal he needed. My other favorite story came from the Korean War, 1000 Men and a Baby. It was the story of a blue-eyed baby left behind on a Korean street. The baby, taken to an orphanage, would never survive being half-American. Finally, thanks to a American Chaplain, the baby “George” was sent to live on the USS Point Cruz and was raised by 1000 Navy men who changed his diapers, bottle fed him and cooed over him for months. “George” was eventually adopted by an American surgeon who had also met him at the orphanage and “George” became Daniel and grew up in America. In 1993, Daniel was able to be reunited with many of the men who cared for him and essentially saved his life. As you can see, this book is full of heartwarming stories that will remind you of all the sacrifices our men and women are making every single day. We can’t forget all those who served in the years past and those who are serving to protect us now. This book is one small way to honor them and inspire us. If you would like to read about how I was able to help my dad get his medals, click HERE. Thanks to FSB Associates for sending a copy of this book for review. This review is my honest opinion. I was not compensated in any other way for this review.